As a general rule, every earning person and the persons who have some asset shall submit income tax return (the declaration of income and assets) and if his income falls within the limit of taxable income he has to pay tax at the rate specified by state law; however, he can be exempted by the state law from paying tax against his income. *	any professional like Doctor, Lawyer, income tax Practitioner etc; a Member of a Chamber of Commerce and Industries and a trade Association; Candidate for Union Parishad/Paurashava/City Corporation/ Parliament; person who participates in a tender. The person who is under an obligation to submit income tax return shall get an Income Tax Identification Number (TIN Number) from his tax zone (as per his territorial or professional identity he is specified for a particular tax zone) and submit an the return along with an advance tax @ of Tk.1000/-; if in the next income year it seems that his income is not taxable then he can get refund of that initial amount. Now comes the most critical question, how he can assess his tax? The simplest way to assess assets and tax in respect of those assets, is to have a booklet from nearest tax office and follow the guideline. The booklets are very easy to understand and clear in language. To consult Income Tax Ordinance 1984 is also helpful. The tax needs to be paid on the yearly turn-over that means, if anyone have any idle assets (land, gold, valuable goods and commodities, inherited properties, car, exclusive art piece, antique furniture, laptop, mobile phone etc.) he does not need to pay tax on it but need to declare it in the income tax return. What is necessary is to declare all the assets but give tax only on the net income. If the income, excluding the yearly expenditure, exceeds the income limit mentioned above he has to pay tax accordingly. For example, if anyone gets yearly house rent at Tk.2,40,000/- and have expenditure (expenditure includes everything living cost, education cost, conveyance and other all sorts of expenditure) at Tk.1,80,000/- his net income comes at Tk.60,000/-, which is below the income limit and thereby fall within the category of nil-return and need not to pay tax; but may need to submit tax return if he submits return in the previous year or have assets. One may think that the declaration of income is only necessary; but declaration of assets in the return is an equally important aspect. If anyone ever wants to convert (i.e sale any property) his assets into liquid money, he has to have the corresponding source of that money (asset) in his return; if he never declare that assets in the income tax return then the question may comes that how did he get that income; in that case he will not be able to show that money in his return and that money will become his black money. The next thing which requires attention at the time of submitting return is income tax rebate (concession), tax deducted at source and liability? For every tax year NBR fixes a tax rebate list which can be easily found in the Income Tax Booklet for that year. 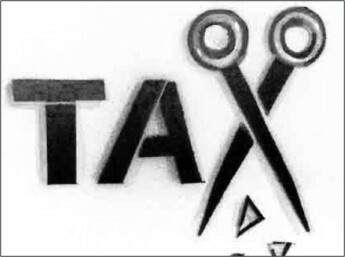 The assessee (tax payer) can also claim exemption/rebate as per Income Tax Ordinance on his DPS, Provident fund, FDR, insurance premium, government bond, charity and zakat at any government or authorized organization, expenditure on technical books etc. If any tax ever deducted at its source (i.e. the tax deducted at the time of land or share transfer) the assessee can deduct that amount from his total tax liability. He shall also declare any liability like loan, credit card or/and mortgage; these will support his newly added assets and its corresponding income. In short a return usually consists of income, expenditure, assets, liability, tax deducted at source and exemptions/rebate. At the time of filling the return form all these aspects seek equal attention, and check and balance. One may get help from an income tax practitioner for submitting his return. However, the state is encouraging the citizen to assess individual tax by his own and in that way the NBR is in a process to initiate online tax payment system. The TIN and return form is available at the NBR website - www.nbr-bd.org. One can also submit his TIN application or Income tax return at www.anm.com.bd. It consists of an web-based software, which helps the assessee to calculate his tax. The last question which seeks some attention in this context is why shall I pay tax to the government? The answer is that you need to pay tax to the state not to the government and this is necessary for yourself; firstly you are under a statutory obligation to pay tax and in case of failure to discharge the obligation you will be liable to the punishment; and secondly if you don't pay tax, where from the state can spent on you and provide you with the facilities like good governance, rule of law, road, medical, education, food, securities etc etc. Barrister Nazmus Saliheen is Advocate Supreme Court of Bangladesh.